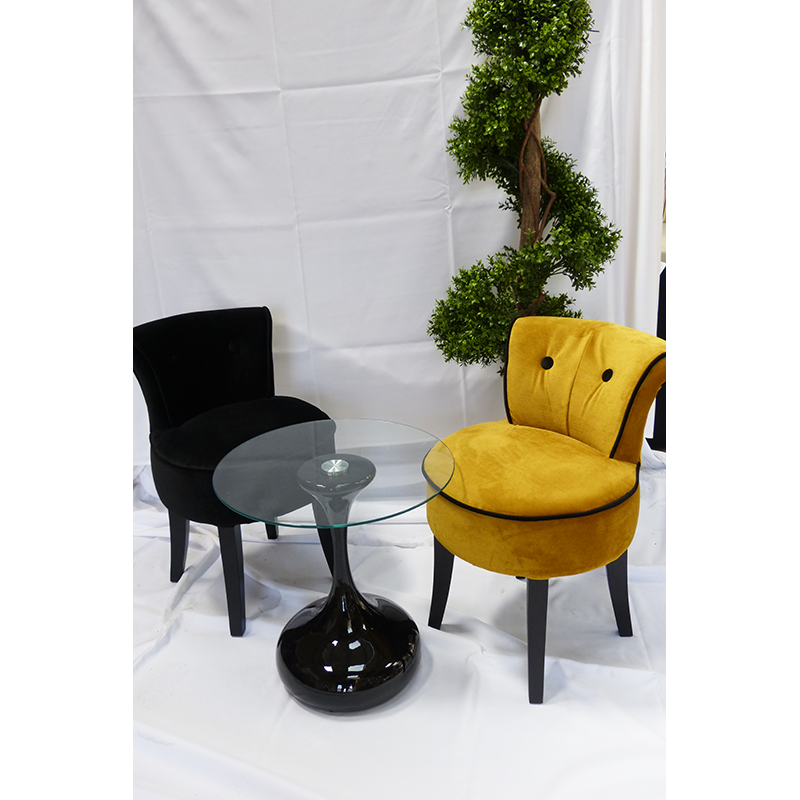 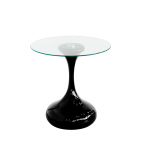 Our glass round coffee table features unusual black gloss bulb base that provides high levels of stability. This highly sculptural table would fit any stylish, contemporary setting and provides the ideal surface for guests to place drinks etc. Due to the high gloss finish of the base, we'd recommend pairing this coffee table with our black leather Chesterfield style sofa or our black leather George chairs.